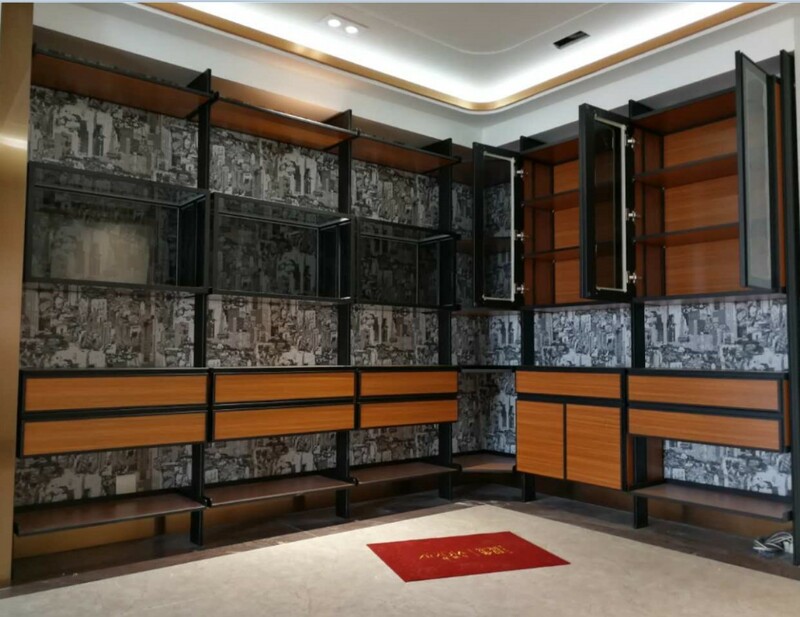 The owner from JinSe KangYuan sure has the taste for the luxurious aesthetic! Interior designers were engaged to draft unique and lavish designs, and finally settling for the design combination as shown below. 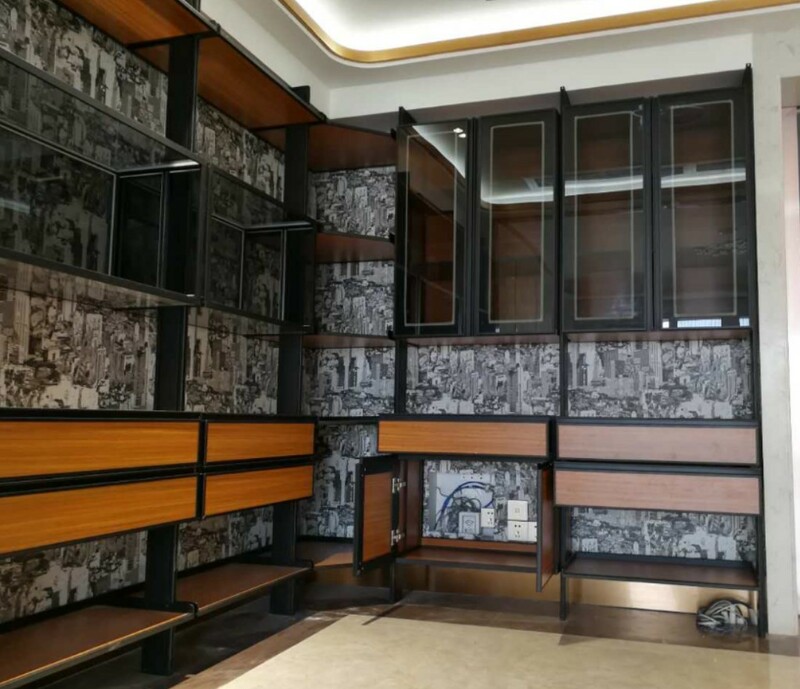 The owner was personally involved in the design as well by visiting Ximula showroom and choosing the materials. Using a mix of Ximula premium aluminum trimmings, glass, wood, and leather, we created a one of a kind design that is elegant and stylish; and at the same time not compromising on its linear aspect. The design really is a great match with the owner’s style. 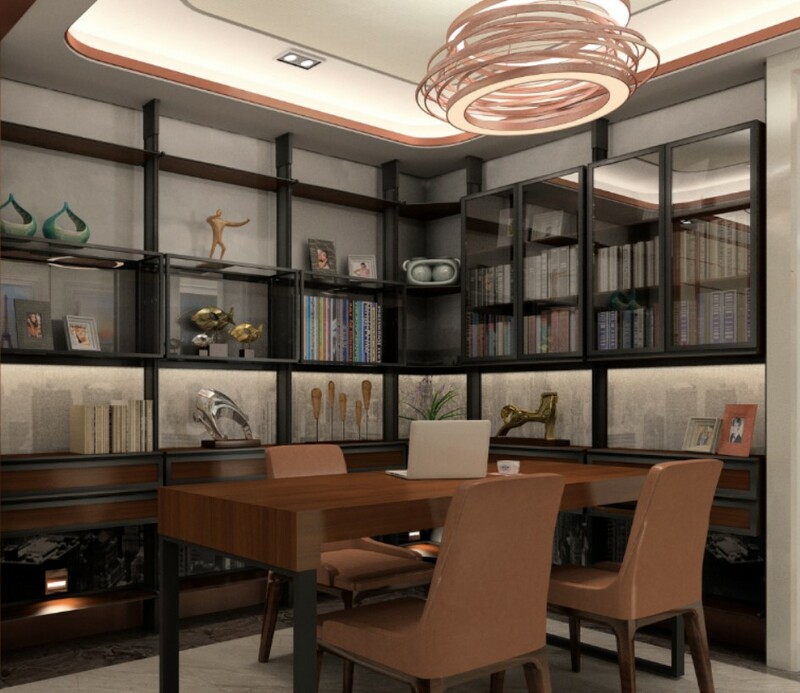 Our in-house Ximula designer, had based on the owner’s requirement and the provided visualization, made micro adjustments based on the actual site environment to create a better fit and fully utilize the space. 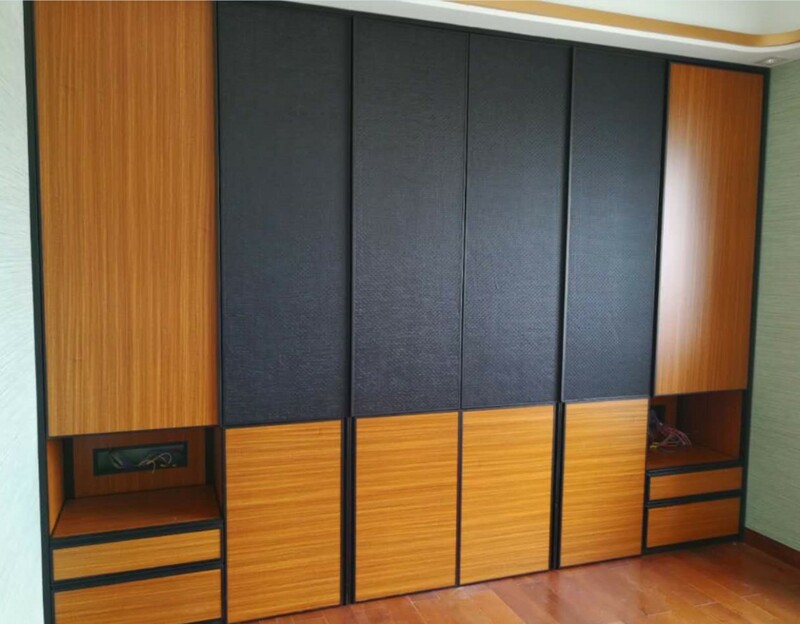 With consideration to the owner’s usage, the wardrobe is designed for easy access to commonly used items, which will be stored at the sides, and the lesser used pieces in the middle. The bottom of the set up can be used to store luggage and seasonal bedsheets. 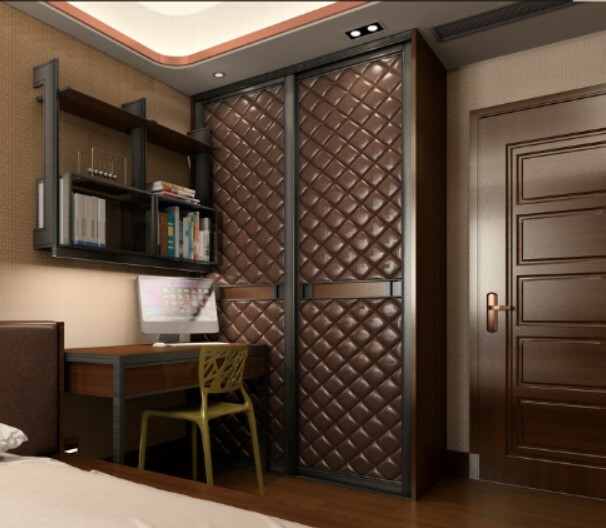 Lastly, the wardrobe was carefully design to allow access to the power sockets for mobile phone charger, lamp, etc; this is so convenient! 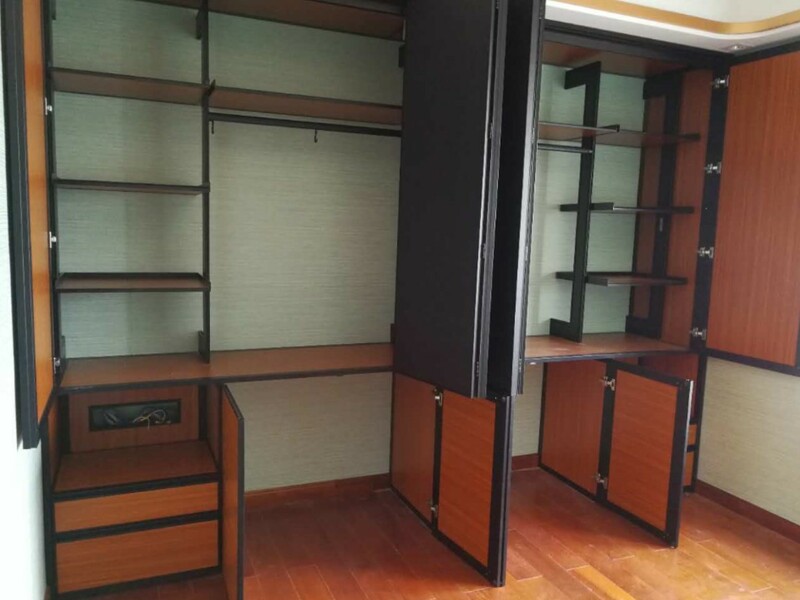 Due to the owner having a lot of internet equipment, our Ximula designer had taken the initiative to propose a low cabinet without a back panel so that all the wiring and internet equipment can be properly kept out of sight. 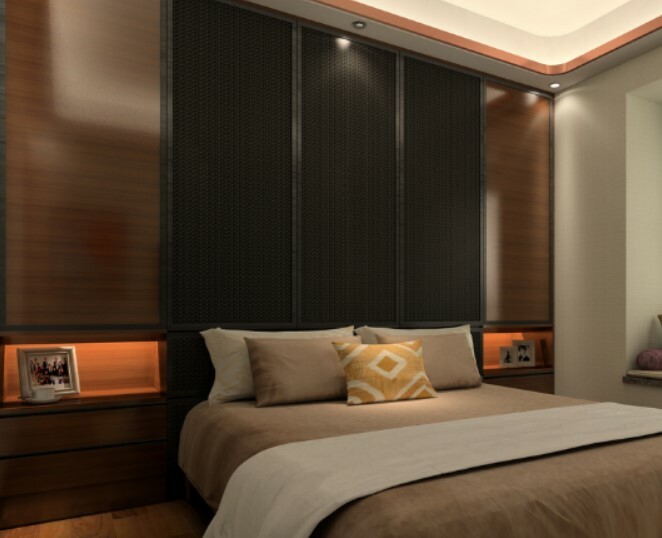 The main materials used are the premium black Ximula aluminum trimming, gray tinted glass, M20 teak, and leather, resulting in an understated yet lush look.